Fast, beautiful and remarkable luxury is what you think of when you hear about Jaguar cars. The British manufacturers are a true challenge for other luxury brands and getting your hands on one of these upscale cars is easy thanks to RAC Cars and our range of affordable used Jaguars. Jaguar is the sleek and swanky sister brand of Land Rover and when you drive a Jaguar you can really start to feel like you rule the roads. Buying one of our used Jaguars for sale in your area, you can get a lot of car for your money, so why not check out our extensive range of models? With compact and large executive cars available, you're spoiled for choice when it comes to a buying a luxury used car. Travel in style with a Jaguar XJ or the Jaguar XK, which will give you an unforgettable driving experience. Other popular models include the Jaguar XF, executive saloon and the Jaguar XE. Known for luxury sports cars and executive saloons, Jaguar are one of the leading brands for upmarket cars. The development at Jaguar aims to get your pulse racing and to produce lavish silhouettes that’ll make people stop and stare. In 2017, the Jaguar F-Pace won “World Car of the Year” and “World Car Design of the Year” from Top Gear. The XE was crowed “Compact Executive Car of the Year” at the Auto Express Awards in 2016 for the second year running. Plus, also in 2016, the XF won “Best Executive Car” at the Fleet World Honours. 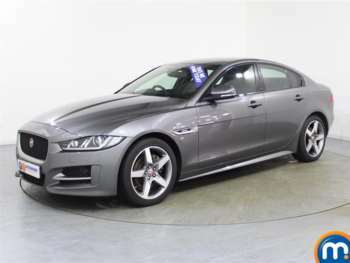 If that's not enough to convince you that Jaguar is the make for you, take a look at our selection of bargain deals on used Jaguars.